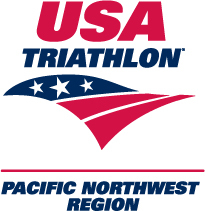 The Pacific Northwest Region of USA Triathlon is hosting the Montana Youth Triathlon Clinic on July 10 in Helena. The clinic is open to youth age 7-19 and will be held at the YMCA and Memorial Park. Triathlon basics of swim, bike and run will be explained as well as the transitions between each. The clinic offers a fun, safe, supportive and educational experience for youth and juniors. The goal of the clinic is to educate and motivate youth to a healthy multisport lifestyle. The camp will be conducted by USA Triathlon certified coaches Matthew Parks, Aubrey Curtis, and Ann Gilbert. Spring Meadow Kid’s Triathlon follows the clinic on July 11 with race distances appropriate to age and ability. The Kid’s Triathlon features distances of 100 yard swim, 2 mile bike, and .5 mile run for children age 7-10 and 200 yard swim, 4 mile bike, and 1 mile run for racers 11-15. The sprint race of the Spring Meadow Triathlon has been designated the Montana Junior Championship Race by USAT. Sprint distances are 500 yard swim, 12 mile bike and 5k run. The Sprint Race begins at 9 am, the Olympic race at 8 am, the Kid’s Race will follow the finish of these at approximately 11 am. Contact mtyouthtriathlon@gmail.com to sign up for the youth events. Volunteers are needed and much appreciated for the races and can contact sean_slanger@bcbsmt.com.